Why can’t Sonic games be more like Runman? I must confess that, despite my love for Sega and platform games and all things big and glorious, I have quite a soft spot for indie games, especially of the $free.99 variety. Therefore, I was already sold when a friend brought up Runman: Race Around the World as a title worth checking out. The game, developed by Tom Sennett and Matt Thorson, has a simple enough premise: Runman, a star-like creature, enters a contest to be the fastest creature in the world; when the other inhabitants of Runman’s world see he’s signed up, they all drop out and Runman is the winner by default. However, our protagonist, not content to win on technicality, sets out to prove that he’s the fastest guy out there. 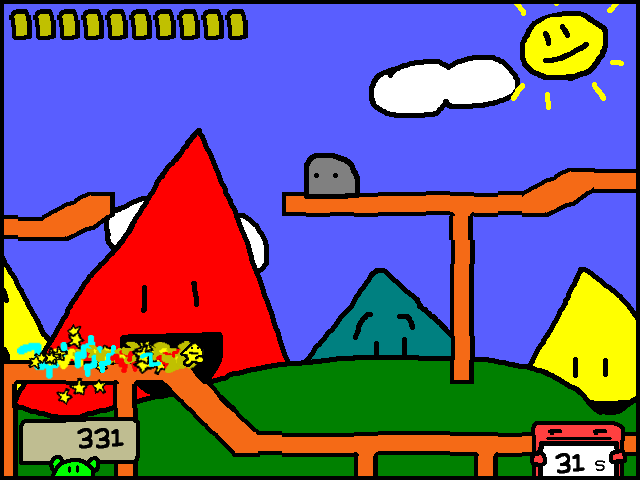 The basic premise of the game is for Runman to clear levels in a variety of locations as he races around the world. 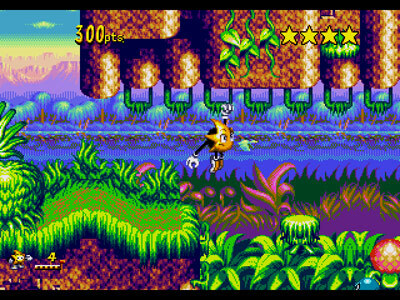 Gameplay is quite simple: players use directional keys, along with a jump and boost button, to navigate through the stages, but the sheer variety of obstacles, enemies and hazards lends to a speedy mix of play: wall-jumping to launch to higher areas, using strategically-placed balloons to take air routes, or sleeping enemies that players must slow down to pass are par for the course. Though the game has “bottomless pits,” the play mechanic bounces Runman back out at the cost of his speed–an effective solution to a problem encountered in Sonic games. Giant monsters chasing you? It’s got it. Icy terrain? It’s got it. Crazy vine-swinging antics? It’s got it. It’s been a while since Sega released a batch of Mega Drive/Genesis games on Steam. For those looking to play some Genesis titles on their computers with a little bit more legality on their side, Sega’s preparing a batch of 11 games for launch… sometime. While no specific date was given for their release, these 11 games will soon be available through Steam at a $2.99 nibble to the wallet. I give some applause to Sega for not immediately shipping out the usual suspects, as far as Sonic is concerned, though what is being released isn’t terribly fascinating either as they’re the more popular titles when Sega’s 16-bit days come to mind. Looking to pick any up? Spotted by a reader over at Kotaku, one of many Original The Characters Do Not Steal used in strange places. Better yams than pickles? Game Gear was one of the largest portable systems ever released in the market, causing many people in the early ’90s to look like they grew a massive tumor in their leg. The above video showcases Evil Nod’s mod job on the console, lovingly called the N Gear 64, running a few N64 titles like Goldeneye, Resident Evil 2 and Mario Kart 64, as well as a few additional features, such as link cable support and TV Out support, which turns off the screen and speaker for TV play. Because of all the hardware packed into the console, there are no battery slots. However, the mod creator demonstrates using a Power Grip rechargeable battery pack for the console that doubles as a grip for the system… and adds even more girth to the already monstrous device. While no step-by-step instruction is given on how to create your own, you can check out photos of the system’s construction here. New Sonic Voice Actors Announced! So the Internet’s worst kept secret is finally out – the Sonic the Hedgehog game series has gone through yet another voice recasting. Gone are the docile tones of Jason Griffith and Amy Palant as Sonic the Hedgehog and Miles “Tails” Prower. So just who is going to voice the most famous hedgehog in the world? Meet Roger Craig Smith. His previous voice work includes Chris Redfield in Resident Evil 5 and Ezio Auditore da Firenze in Assassin’s Creed 2. He has also done work for SEGA in the past, including a variety of voice in Valkyria Chronicles. Additionally, everyone’s favorite two-tailed fox will now be voiced by Kate Higgins, whose most prolific role to date has been Naruto’s Sakura Haruno. Hopefully her work on that show has prepared her for rabid fanbases. 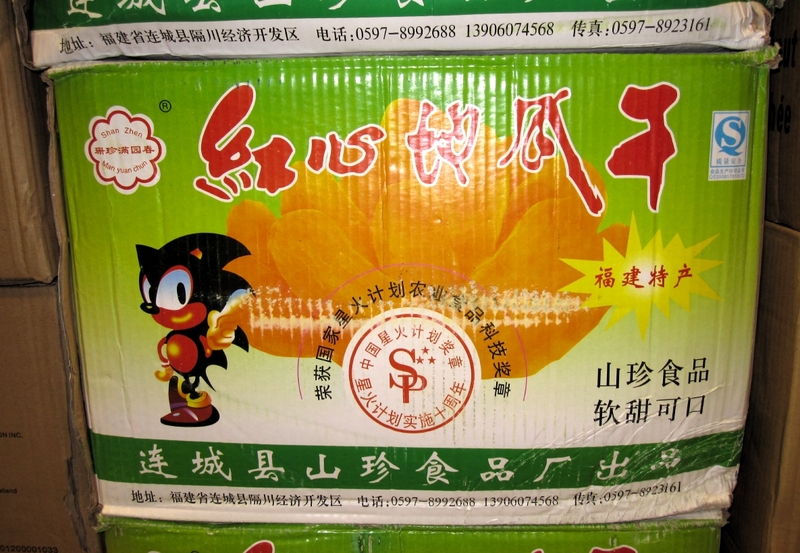 Oh, and Dr. Eggman? He’s still being voiced by Mike Pollock. Is this franchise-changing news? Maybe not. Is it bound to cause thousands of posts comparing Ryan, Jason, and Roger? Most definitely. While SEGA has confirmed that the rest of the cast has gone through a similar voice-lift, they’re keeping quiet over the identities of these new actors. All we here at Sonic Retro can do is wish them luck, and hope they realize just what they’ve gotten themselves into. You can read more about this shake-up here. One image is missing, the quizzes don’t work, the news search doesn’t work, and there is no forum backup. The articles, features, reviews and such all appear to be there, though. Many of the videos linked in the reviews are still available at FilePlanet. We hope you enjoy this little piece of history and special thanks to profshiny for his work. Every so often a hack of a Sonic game will come along where there’s just a minor change to gameplay mechanics, but a whole new, enjoyable game is made from the result: Sonic 1 Return to the Origin, Sonic 3D: No Flickies, Sonic 1: Bouncy Edition, etc. Then, friends, there are times when a minor change will make a game more awesome. Captain Bozo and Ranger on the forums have done just that with Sonic 2 XL, a simple hack of Sonic 2 where the game’s standard rings are replaced with…onion rings. Hilarity ensues. You can download Sonic 2 XL at its Sonic Retro wiki page or visit the hack’s thread on the forums for more information. SAGE 2010 Announced: Dates and Info! It’s that time of the year again, folks. The weather is getting warmer, people are barbecuing… and SAGE is on the menu, right next to the potato salad. Delicious! Well, get ready for another grand year of fan games, events and mingling because it’s right around the corner! SAGE 2010 is coming to a computer near you August 8th – August 14th at //www.sagexpo.org! The subject of your e-mail should be “Booth.” Your e-mail should contain a link to your booth where we may download a working demo of your game. This should be the final booth location of where you would like your demo to be linked to on the SAGE website. If this booth location changes, please notify us no later than 48 hours before the beginning of SAGE. The subject of your e-mail should be “Event” or “SAGEcast” respectively. Your e-mail should contain a description of the event/SAGEcast you would like to host and what day(s) you would like the event/SAGEcast to occur on. If you require specific time(s) to host your event, please provide it to us in your application. If no specific time is provided, we will schedule you at the most appropriate time(s) alongside other events. You will be notified of the time(s) we schedule for you within 24 hours after your intial application e-mail. The deadline for booth, event and SAGEcast submissions is August 1st. More information, like guests, events and confirmed fan projects, to come in the near future. Get excited!